Fun pirate music appropriate for any audience! 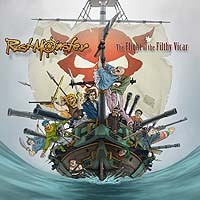 Do you like pirate music? Then these cds are perfect for you. 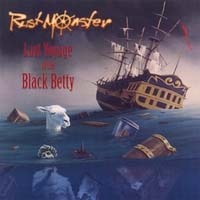 Spice up your pirate party with all the AAAARRRRRGHs and the Yo, Ho, Hos you need with Rustmonster’s albums. Rustmonster’s music is fun. It has a sense of humor and high production value. The Rustmonster pirate band features a full horn line, along with a rhythm section and auxilliary percussion. Their sound, rocky fulk with a hint of funk and ska, is fun and exciting. Why not pick up both albums today. The story of Captain Stark and his nemesis, Captain Henry Ramos. The memoirs of a condemned pirate, rotting in his cell, awaiting his time to hang.